Born in the city of Karaganda. After graduating from high school number 4 entered the Kazakh State University. CM. Kirov, which graduated in 1962. She worked at the school as a teacher of Russian language and literature. In 1968 she entered the graduate school at the Department of Russian and foreign literature of the Kazakh Pedagogical Institute. Abaya. At the end of graduate school sent to the Karaganda Pedagogical Institute and adopted art. a teacher at the Russian language department. 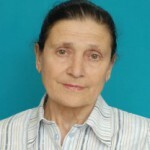 In 1974 she defended her dissertation for the degree of Candidate of Philological Sciences in Donetsk State University. 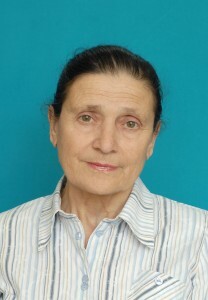 From 1976 – Associate Professor of the Department of Russian and Foreign Literature, from 1985 to 1995, from 2004 to 2007 – Head of the Department of Russian and Foreign Literature. In 2001, she defended her doctoral dissertation in Russian literature at Tomsk State University; in 2007 she defended her doctoral dissertation at the Kazakh National University. Al-Farabi, Since 2005 – Professor of KarSU named after. E.A. Buketova, and since 2014 a professor at the Department of Russian Language and Culture at Karaganda State Technical University. Author of 4 monographs and over 80 scientific and methodical articles. She prepared 3 candidates of sciences, 10 undergraduates. He continues to study the problems of Russian literature.